We all know that keeping the kids busy on vacation without doing some serious damage to your wallet is not always easy. One way to do this is to choose a vacation that includes unlimited access to a water park. To provide some inspiration, we've gathered five of our favourite resorts that offer endless, splash worthy fun without blowing your vacation budget. The whole family will have a blast at one of the Caribbean’s largest resort water parks: Splash Park at Grand Memories Punta Cana, in Punta Cana, Dominican Republic. This water park features a wave pool, seven “monster” slides and a separate splash park for younger kids with two mini-slides. Little ones will have a blast playing with their new friends Toopy and Binoo™ at the complimentary kids club with a playground and tons of fun activities. There’s plenty to keep adults entertained as well, with discounted green fees at the nearby Championship golf course, two adults only pools and a sports bar where fans can catch the game over beers and snacks. Plus, when you stay at Grand Memories Punta Cana you can enjoy access to Royalton Punta Cana nearby. The recently-renovated Riu Santa Fe in Los Cabos is now home to its very own Splash Water World water park! 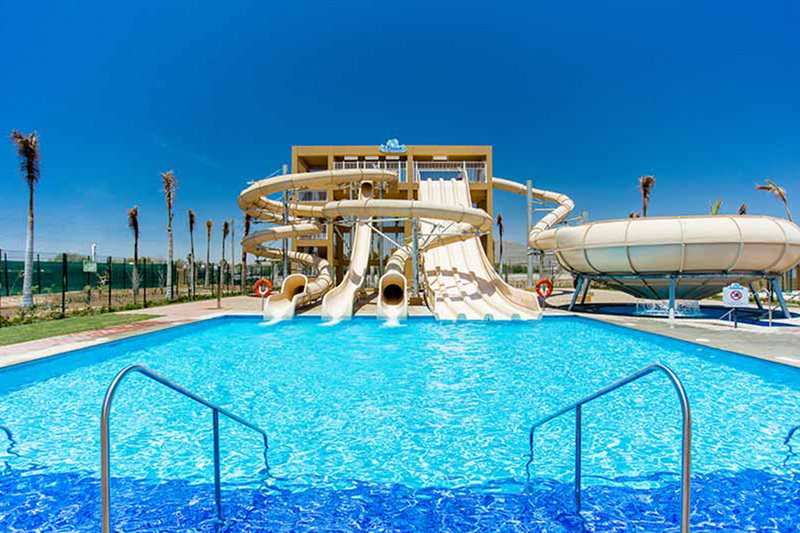 Located in the new wing of the resort, there are five exciting water slides to whoosh down including four high-speed lanes for the daredevils in the family. After a day spent at the water park, you can unwind and take in a beautiful sunset and the view of Los Cabos' famed arch while floating around in the panoramic infinity pool. If you're travelling as a family, the kids will love the endless entertainment at the supervised RiuLand Kids Club. Plus, the options for dining are just as plentiful, ranging from a new poolside Jamaican jerk grill to elegant à la carte Asian and Italian restaurants. 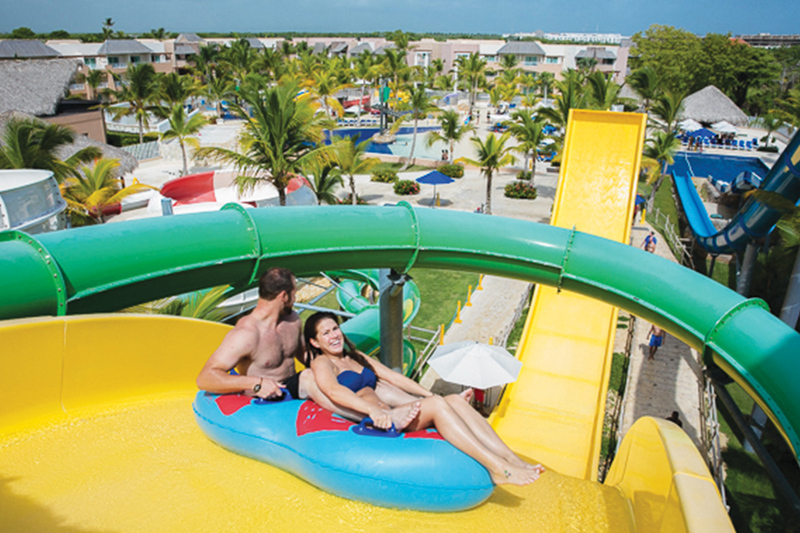 There’s a water slide for everyone at Sandos Caracol Eco Resort in Riviera Maya! This family-friendly resort is home to the recently-expanded Aqua Park, with 29 (yes, 29!) slides across three different sections for little kids, bigger kids and adults. The sprawling water park also features a splash pad and shaded loungers – perfect for parents who want to chill out with a refreshing drink while the kids play. When you’re not exploring the park, you can snorkel in refreshing cenotes teeming with marine life, participate in a calming yoga session by the resort’s natural river and learn about ancient Mayan life during the resort’s evening Xcalacoco events. All aboard! Water parks don’t have to be on dry land. 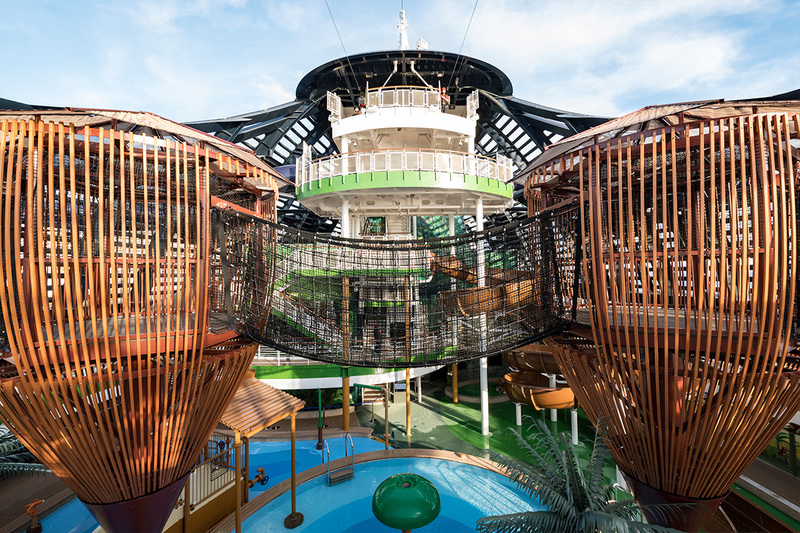 The new MSC Seaside cruise ship features the Forest Aquaventure Park which spans over multiple storeys. One of the most interactive water parks at sea, it features Slideboarding technology which combines exciting video games, lights and music. Cruisers of all ages can zoom down five different water slides, including two clear slides that loop around the side of the ship. When not exploring the water park, try out the ship’s unique zipline or take in a Broadway-style show at the ship’s Metropolitan Theatre. The ship’s unique waterfront promenade provides breathtaking views of the horizon in addition to plenty of spots where you can shop, eat and sunbathe! Located in the ‘Home of All Right’ in Montego Bay, the family-friendly Royalton White Sands Montego Bay offers plenty of activities to keep everyone entertained – including the Splash Water Park on site. 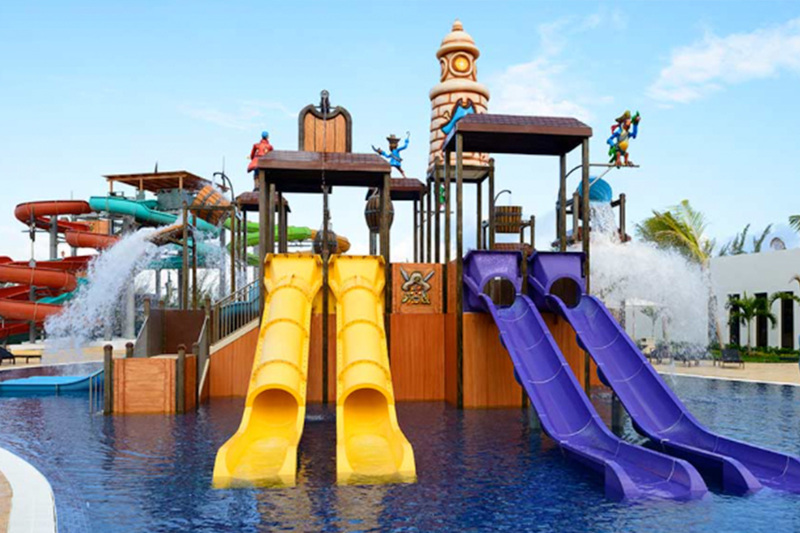 Mini-vacationers can splash around the pirate-themed kids water park with mini-slides and splash buckets, or visit the Clubhouse Kids Club to hang out with their favourite characters Max and Ruby™. There’s also four sky-high water slides that older kids can zoom down, featuring exciting twists and turns. Mini-vacationers will have a blast at the supervised Kids Adventure Club or competing in the entertaining Beach Olympics; while parents can treat themselves to a relaxing couples massage by the beach.